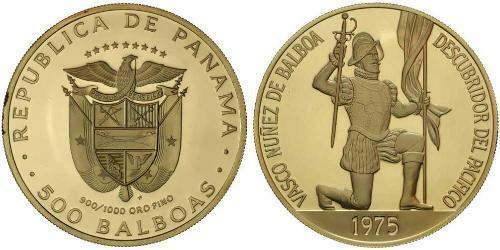 PANAMA, proof five hundred balboas, 1975 500th Anniversary of Birth of Balboa (KM.42). In case of issue, no certificate, FDC. PANAMA, proof five hundred balboas, 1975 (KM.42). With pack of issue, FDC.